در آذر ماه سال 1396 سه زمین‌لرزه با بزرگی 9/5 تا 1/6 در منطقه هجدک کرمان روی داد. این زمین‌لرزه‌ها با استفاده از تصاویر ماهواره‌ای، تداخل‌سنجی رادار و بازدید میدانی مورد مطالعه قرار گرفت. رومرکز زمین‌لرزه اول و دوم در مرز کوه و دشت در دامنه شمالی میان کوه که بلندی اصلی منطقه است، قرار می‌گیرد. هیچگونه گسیختگی سطحی همراه با این زمین‌لرزه‌ها در سطح زمین دیده نشده است وتداخل‌سنجی رادار نیز بالا آمدگی نسبتا متقارن سطح زمین را برای این زمین‌لرزه‎ها نشان می‎‌دهد. بر این اساس، دو سناریوی گسل زمین‌لرزه‌ای با شیب به سوی جنوب باختری و یاگسل زمین‎‌لرزه با شیب به سوی شمال خاوری برای این زمین‌لرزه‌ها امکان‌پذیر است. رومرکز رویداد سوم در دشت آبرفتی شمال میان کوه قرار می‌گیرد . آثار گسلش سطحی همراه با این رویداد نخست در تصاویر ماهواره‌ای پس از رویداد و تداخل‌سنجی رادار دیده شد و سپس در بازدید صحرایی مورد تأیید قرار گرفت. این زمین‌لرزه با حدود 6 کیلومتر گسیختگی سطحی و بیش از یک متر بالا آمدگی بلوک جنوبی در راستای گسله با ساز و کار راندگی و شیب به سوی جنوب باختری همراه بود. هیچگونه آثار گسلش پیش از رویداد زمین‌لرزه در دشت آبرفتی دیده نشده است که احتمالا ناشی از شسته شدن آن به‌وسیله سیلاب‌های فصلی است. با این وجود، در ادامه گسله به سوی شمال باختری بریدگی آبرفت‌های جوان بیانگر وجود گسله‌ای جوان و جنبا در این منطقه است. جنبش گسل‌های پنهان پیش از این نیز زمین‌لرزه‌ های بزرگی همچون طبس، بم، و سرپل ذهاب را موجب شده است. زمین‌لرزه هجدک نیز یک بار دیگر اهمیت شناسایی و توجه به این گسل‌ها در برآورد خطر زمین‌لرزه به‌ویژه در مجاورت شهرهای بزرگ را یادآور می‌شود. On 1-12 December 2017 three earthquakes (Mw 5.9 -6.1) shake Hojedk region in Kerman province. We used satellite images, radar interferometry and field investigation to examine the sourceprocesses of these earthquakes in south–central Iran. The epicenter of first two events located near northern boundary of the Miankuh, a major topographic feature of the region. No surface rupture has been seen with these events and InSAR results show semi symmetric uplift of the region. Therefore, two scenarios of faulting with dip to the SW or NE are possible. Epicenter of the third event located further north within the alluvial plane. Evidence for coseismic surface rupture associated with this event was first observed on Sentinel satellite image and InSAR analysis. It was then confirmed by field investigation. The event produced a coseismic scarps with more than 1 m vertical displacement over a total distance of∼6 km, along a fault with reverse mechanism and dip to the SW. Any signs of earlier coseismic ruptures along this fault had been obliterated by the time of the 2017 earthquake, probably by occasional flash floods, so that the fault could not been identified beforehand. However, there is evidence of young alluvial offsets further to the NW along strike of the fault, suggesting existence of active structures in the region. Reactivation of blind faults have caused other major earthquakes such as 1978 Mw 7.4 Tabas, 2003 Mw 6.6 Bam, and 2017 Mw 7.3 Sarpol Zahab earthquakes in the past. The Hojedk earthquakes remind us about importance of recognizing and studying blind faults, especially if they are close to population centers. طالبیان م.، هاشمی طباطبایی ه.، فتاحی م.، قرشی م.، بیت الهی ع.، قلندر زاده ع. و ریاحی م.، 1388- بر آورد نرخ لغزش گسل‌های پیرامون بم و کاربرد آن در ارزیابی خطر زمین‌لرزه، فصلنامه علمی پژوهشی علوم زمین، شماره 74، ص 149-156. Berberian, M., Jackson, J.A., Fielding, E., Parsons, B.E., Priestley, K., Qorashi, M., Talebian, M., Walker, R., Wright, T.J. and Baker, C., 2001- The 1998 March 14 Fandoqa earthquake (Mw 6.6) in Kerman province, southeast Iran: re-rupture of the 1981 Sirch earthquake fault, triggering of slip on adjacent thrusts and the active tectonics of the Gowk fault zone. Geophysical Journal International, 146(2), pp.371-398. Fielding, E.J., Talebian, M., Rosen, P.A., Nazari, H., Jackson, J.A., Ghorashi, M. & Walker, R., 2005- Surface ruptures and building damage of the 2003 Bam, Iran earthquake mapped by satellite synthetic aperture radar, interferometric correlation, J. geophys. Res.,110, BO3302. Funning, G.J., Parsons, B.E., Wright, T.J., Jackson, J.A. & Fielding, E.J.,2006- Surface displacements and source parameters of the 2003 Bam(Iran) earthquake from Envisat advanced synthetic aperture radar imagery, J. geophys. Res.,Vol. 110, B09406. Jackson, J., Bouchon, M., Fielding, E., Funning, G., Ghorashi, M., Hatzfeld, D., Nazari, H., Parsons, B., Priestley, K., Talebian, M. and Tatar, M., 2006- Seismotectonic, rupture process, and earthquake-hazard aspects of the 2003 December 26 Bam, Iran, earthquake. Geophysical Journal International, 166(3), pp.1270-1292. 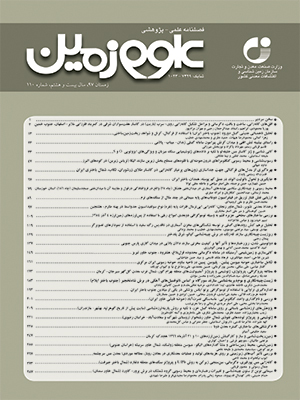 Khorrami, F., Vernant, P., Masson, F., Nilfouroushan, F., Mousavi, Z., Nankali, H., Saadat, S.A., Walpersdorf, A., Hosseini, S., Tavakoli, P. and Aghamohammadi, A., 2019- An up-to-date crustal deformation map of Iran using integrated campaign-mode and permanent GPS velocities. Geophysical Journal International. Savidge, E., Nissen, E., Nemati, M., Karasözen, E., Hollingsworth, J., Talebian, M., Bergman, E., Ghods, A., Ghorashi, M., Kosari, E. and Rashidi, A., 2019- The December 2017 Hojedk (Iran) earthquake triplet—sequential rupture of shallow reverse faults in a strike-slip restraining bend. Geophysical Journal International (in press). Talebian, M., Fielding, E. J., Funning, G. J., Ghorashi, M., Jackson, J., Nazari, H., Parsons, B., Priestley, K., Rosen, P. A., Walker, R. and Wright, T.J., 2004- The 2003 Bam (Iran) earthquake: Rupture of a blind strike-slip fault. Geophysical Research Letters, 31(11). Talebian, M., Biggs, J., Bolourchi, M., Copley, A., Ghassemi, A., Ghorashi, M., Hollingsworth, J., Jackson, J., Nissen, E., Oveisi, B. and Parsons, B., 2006- The Dahuiyeh (Zarand) earthquake of 2005 February 22 in central Iran: reactivation of an intramountain reverse fault. Geophysical Journal International, 164(1), pp.137-148. Talebian, M., Copley, A.C., Fattahi, M., Ghorashi, M., Jackson, J.A., Nazari, H., Sloan, R.A. and Walker, R.T., 2016- Active faulting within a megacity: the geometry and slip rate of the Pardisan thrust in central Tehran, Iran. Geophysical Supplements to the Monthly Notices of the Royal Astronomical Society, 207(3), pp.1688-1699. Vernant, P., Nilforoushan, F., Hatzfeld, D., Abbassi, M.R., Vigny, C., Masson, F., Nankali, H., Martinod, J., Ashtiani, A., Bayer, R. and Tavakoli, F., 2004- Present-day crustal deformation and plate kinematics in the Middle East constrained by GPS measurements in Iran and northern Oman. Geophysical Journal International, 157(1), pp.381-398. Walker, R. and Jackson, J., 2002- Offset and evolution of the Gowk fault, SE Iran: a major intra-continental strike-slip system. Journal of structural Geology, 24(11), pp.1677-1698. Walker, R.T., Gans, P., Allen, M.B., Jackson, J., Khatib, M., Marsh, N. and Zarrinkoub, M., 2009- Late Cenozoic volcanism and rates of active faulting in eastern Iran. Geophysical Journal International, 177(2), pp.783-805. Walker, R.T., Talebian, M., Saiffori, S., Sloan, R.A., Rasheedi, A., MacBean, N. and Ghassemi, A., 2010- Active faulting, earthquakes, and restraining bend development near Kerman city in southeastern Iran. Journal of Structural Geology, 32(8), pp.1046-1060. Wells, D. L. and Coppersmith, K. T., 1994- New empirical relation among magnitude, rupture length, rupture width, rupture area, and surface displacement. Bulletin of the Seismological Society of America, 84(4), pp. 974-1002.